Note: This article first appeared on PPC Hero. This is not a given: the most prominent example is quality score. Quality score is always reflected with through the latest data point and you are not able to go back in time. This means you’d have to use 3rd party tools or scripts to historicize data. The fact that performance data related to custom labels is stored and not overwritten provides tremendous possibilities for analyses and enables us to detect patterns. Back to topic. 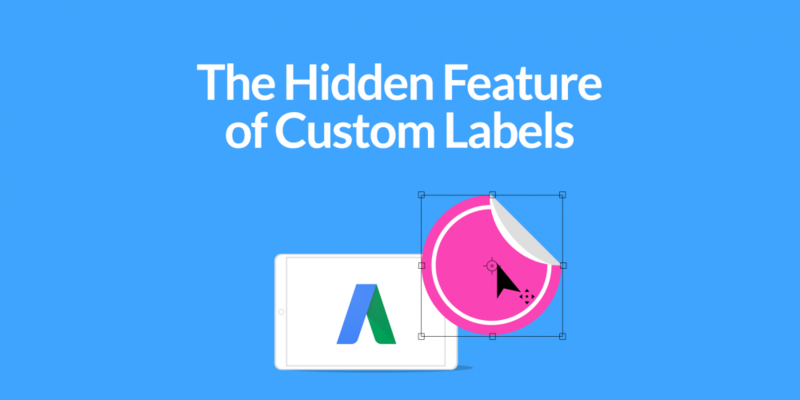 As custom labels are historicized, you can use them to analyze your shopping performance data even if the custom labels change over time — And there is a fair amount of change if you look at the dynamics of your assortment. The first step would be to test different hypotheses. Don’t waste time changing your structure if it doesn’t boost your performance. The good thing is, that no matter what campaign structure you chose originally, data is available through the Shopping Performance Report. If you, for example, structure your campaigns by brands, you will also have performance statistics available for product types, categories and custom labels. Note: if you have a dynamic inventory with rapidly changing prices and availabilities you have to update your feed frequently to make the most out of custom labels and to avoid disapprovals. We will start with the hypothesis, assuming that the time of shipping has an impact on the conversion rate and customers seek a purchase option that guarantees that they receive the wanted item immediately. Ensure that the availability status is correct and your feed updated frequently. From my experience, an hourly update will do the job as the AdWords system also needs time to reflect the new information. The easiest part: lean back and watch how data is accrued. If you see any odd-looking things like “- -“ in the custom label report (which denotes a missing custom label) check your feed, especially if you have the full range of your products labeled. If you find that you gained useful insights that provide an uplift to your PLA campaigns, just rearrange your Shopping campaign structure and bidding strategy — Or use a bid management software capable of doing that without re-structuring your campaigns. Here is another example, this time of a German online retailer selling shoes. Shoe retailers (or fashion retailers in general) face a specific problem: the availability of different sizes has an impact on the sales numbers of the product, meaning if a popular size is not available anymore the conversion rate dwindles. Please confirm if that is the case for your shop before applying custom labels — But it seems quite obvious that people are frustrated if the look for shoes, find them on Google Shopping, and then find out that their size is not available anymore. If you face an inventory situation similar to this (only 2 out of the 3 most popular sizes are in stock and some other sizes are missing altogether) you would apply an inventory score of 7. If none of the popular sizes are available, apply a score of 2. For the rest, just interpolate between these situations and apply your scores. Again, ensure that the availability scores are correctly applied and your feed up-to-date, then run the experience. After enough data is available, analyze the experiment and decide whether to apply or reject the results. 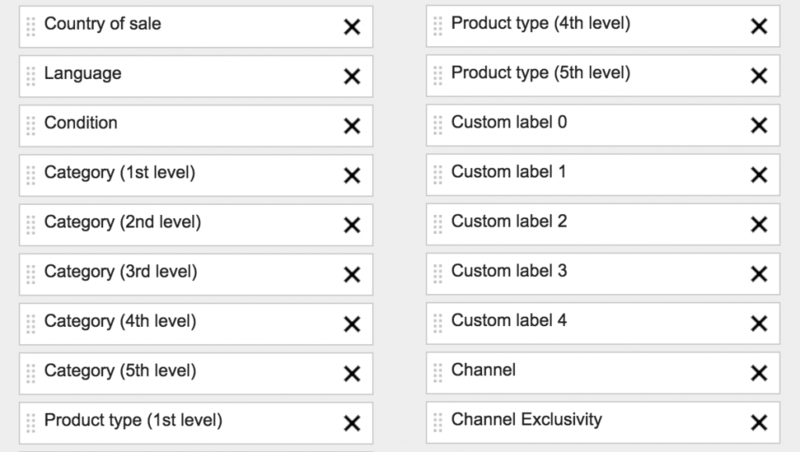 Custom labels are NOT ONLY great to structure and steer your campaigns, they also represent a great way to test hypotheses before applying changes to your structure. As with any experiment, there is always the chance that you will not end up with significant results or insights — that is part of the game. But if you do find valuable insights, you are heading straight towards campaign optimization. 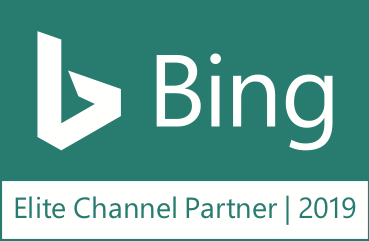 Reinhard is Chief of Innovation and an expert in the field of search engine marketing solutions for retailers.